For the love of Gaelic (and everything else Scottish). As part of the University’s Gaelic Week programme of events we will be popping-up at the first floor reception desk in the University Library on Thursday 23 October, 2-4pm. We will be highlighting some of our Gaelic holdings but will also have information available on all of our collections. 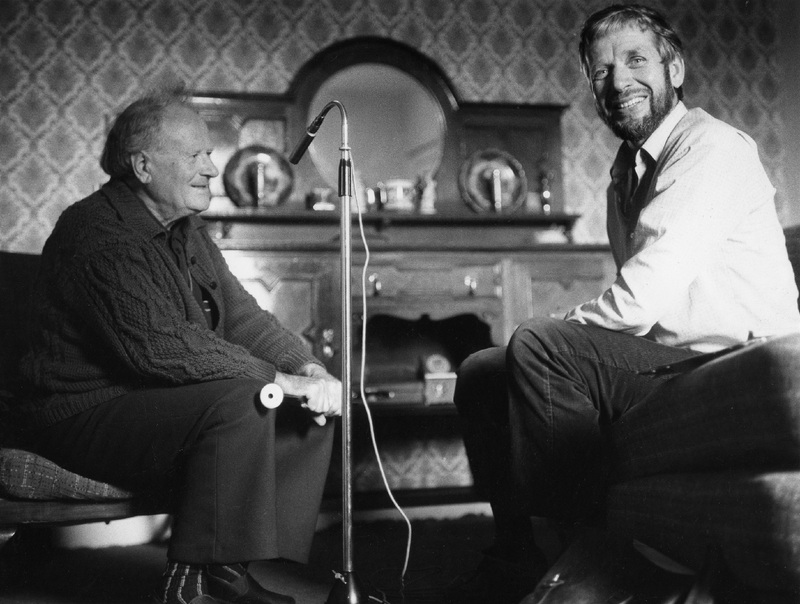 Over the past sixty years, fieldworkers at the School of Scottish Studies have collected thousands of audio recordings of songs, music, tales, verse, customs, belief, oral history and much more in Gaelic, Scots and English. These are complemented by film, photographic and manuscript collections. From rallying political songs to soothing lullabies, supernatural tales to humorous anecdotes, traditional crafts to fire festivals; the full range of Scotland’s cultural legacy is represented and brought to life in this rich tapestry of archive material. There will be an opportunity to listen to some of our thousands of recordings, many of which can be accessed online via the Tobar an Dualchais / Kist o’ Riches website. You can also learn, hands on, about the history of sound recording. Sound recordings were made using a variety of recording machines from wax cylinders to DAT tapes and digital memory cards. For many decades the reel to reel recording machine using quarter-inch magnetic tape was the standard and as a result the vast majority of our archive recordings are on open reel tape. We invite you to come along to make your own recording using an open reel tape machine! You can record your own message or why not try one of the Gaelic or Scots sayings that we have selected? You can take the section of tape away with you, and we will also give you a QR code so that you can then listen to your recording online. All this and more at the School of Scottish Studies Archives Pop-Up Library session on Thursday 23 October, 2-4pm. This entry was posted in Pop-up Library and tagged Ethnology, Gaelic, pop up library, School of Scottish Studies Archives, Scottish Studies by emacgillivray. Bookmark the permalink.